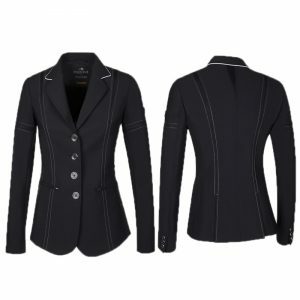 The Equiline Estelle shirt is a timeless competition shirt with navy colour inserts on the sides and sleeve cuffs. 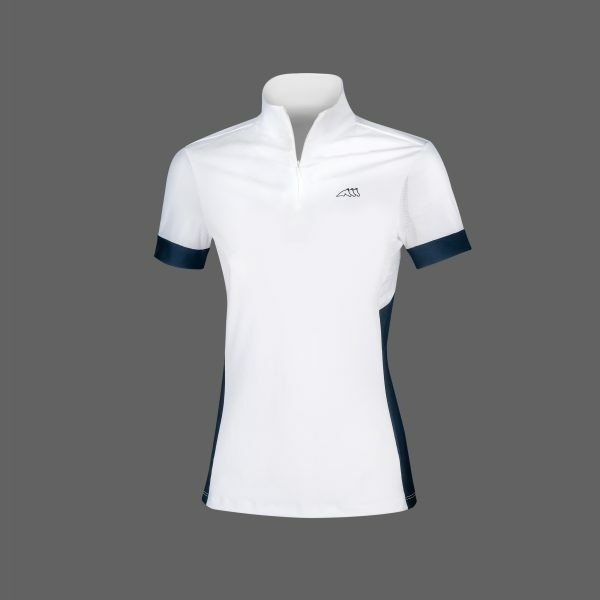 Finished with breathable mesh sleeves and a zipped front closure for a sporty look. 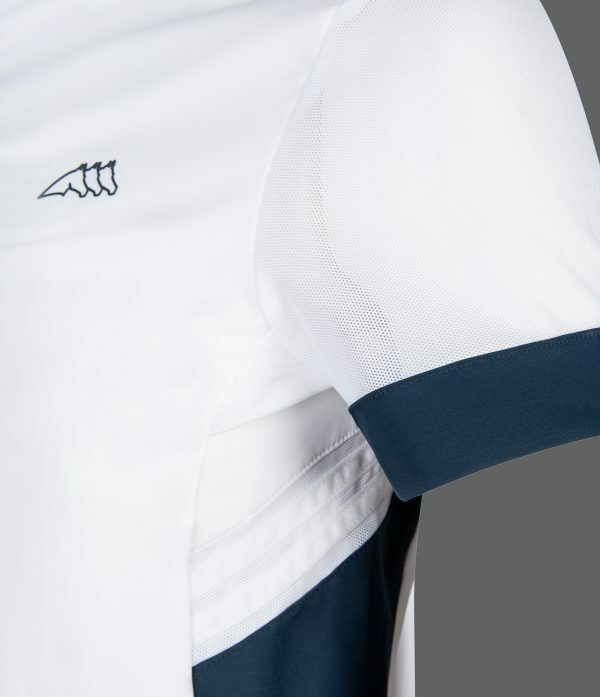 Available in white with Navy detailing.